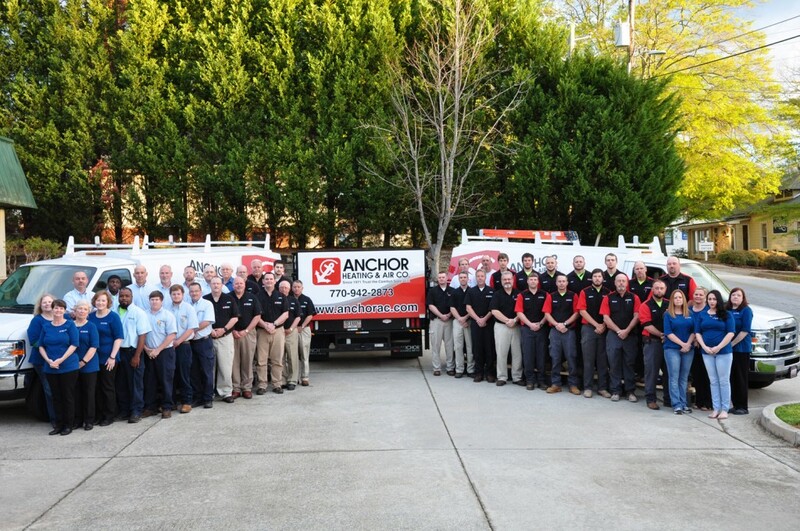 Anchor Heating and Air Conditioning finds its success deeply rooted in the experiences and integrity of founder Jack Tysor. Jack began his career in the industry on the wholesale side of the business and later became a partner in a large heating and air company serving the metro Atlanta area. He is a charter member of the Conditioned Air Association of Georgia, as well as the West Metro Heating and Air Association. In 1971, Jack and his wife, Georgia, formed Anchor Heating and Air Conditioning Company, Inc. Anchor quickly built a reputation for quality work, leading local utilities to recognize the company as a valuable ally in the Good Cents™ installation programs. Growth flourished in both the new home and replacement markets. Believing that Anchor owed much to the people it served, Jack contributed his time to improving his community. He invested eight years as a member of the Douglas County School Board and has served with numerous other organizations such as the Boys and Girls Club. He also remains a very active member of his church. In 1986, Barry Tysor joined his father as a partner in the company. Barry had assisted Jack for years during high school and college, and his degree in Mechanical Engineering and Technology from Southern Tech reinforced his detailed knowledge of the business. Barry’s experience as an HVAC inspector for the City of Atlanta also taught him the importance of a quality installation. In 2001, with the apprenticeship complete, Jack transferred the roles of President and CEO of Anchor to Barry, whose stint in the U.S. Marine Corps propels him to run an efficient, purpose-driven organization. Barry has served as President of the Metro Atlanta Air Conditioning Contractors Association. Today, Anchor has 25 trucks and boasts the coveted Trane® Comfort Specialist™ designation. Only contractors who meet stringent manufacturer requirements each year are awarded this honor. Hal Kadel heads a service department that is well versed in today’s technologies, comfort issues, and indoor air quality challenges. Joey Waschak leads the installation department, focusing on the highest quality work for both new and existing homes. And our comfort consultants are trained to evaluate your needs and educate you without pressuring you to buy. Our technicians must pass one very serious test--whether or not we would trust them with our own homes, families, and equipment. We know that this is a personal decision, but our reputation is the reason you can trust us to choose employees with winning character. We are polite, competent, and clean. Your home or office will be better for our being there. Respect within the community and within the industry has been the key to our successful past, and we see no reason to let that respect diminish. Our future is committed to serving our customers and community with the very best that we have to offer.